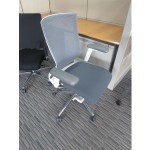 ■ Frame: available in black frame with matching black mesh and arm pads or white frame with gray mesh and arm pads. 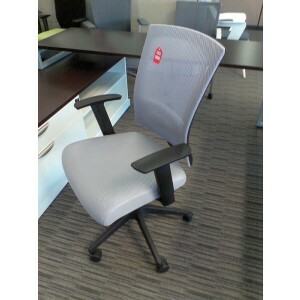 Side chair, steel tube plated legs with plastic glides or optional casters. 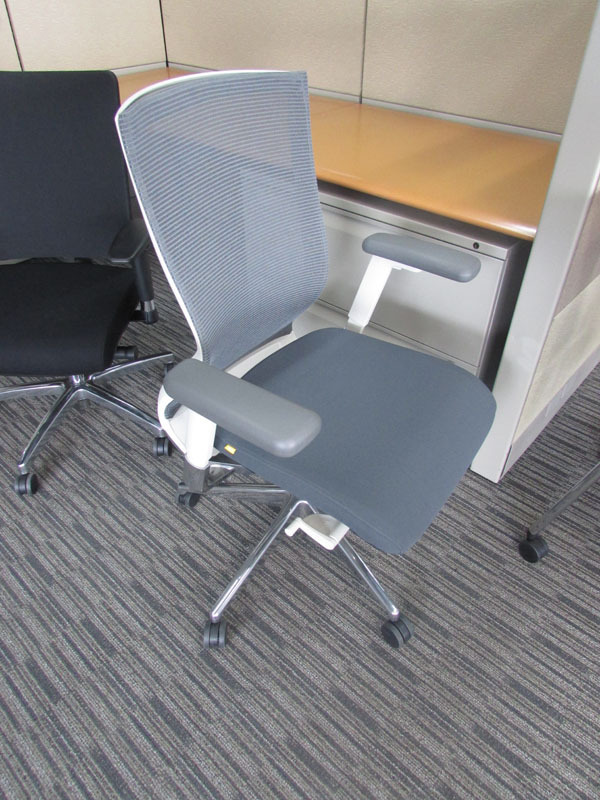 ■ Mechanism: task full and mid-back, advanced Synchro-Tilt with seat slider adjustment (2”), hi-task is swivel, height adjustable and no tilt. ■ Tilt: task full back, 4 positions, one lock position, three float positions & tension crank; task mid-back, three locking positions; hi-task, fixed back. 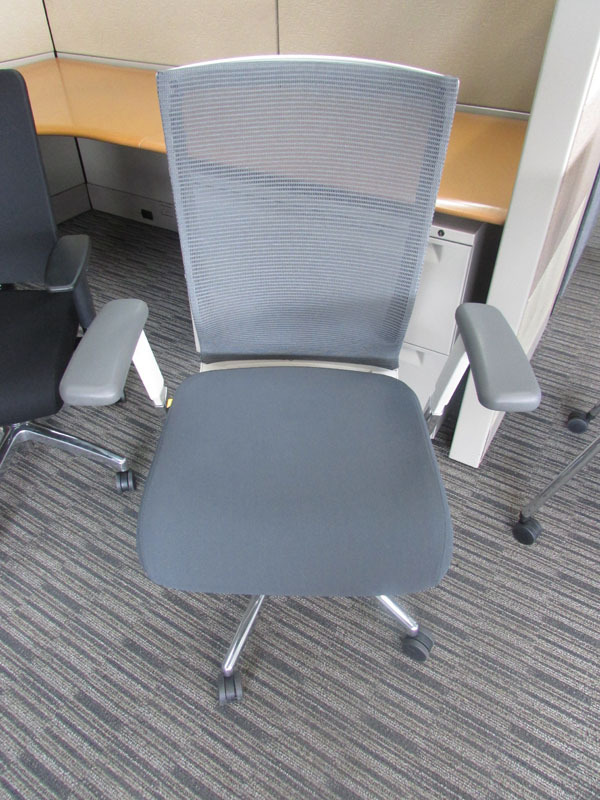 ■ Pneumatic seat height adjustment: task (4”), hi-task (8”). ■ Side mounted controls. Instructions also in Braille for task and hi-task. ■ Built-in user guide for personal adjustment. 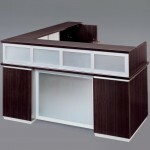 ■ Base: task full back, polished cast aluminum 5 star base; task mid-back, black or white nylon 5 star base.